Staples uses the In Case of Crisis digital crisis management solution to improve accessibility of its emergency response plans. To meet Staples’ next day delivery promise, Staples supply chain has long had to handle everyday crises, and planned for how to keep things running in emergencies. However, a paper based approach wasn’t dynamically providing the relevant information to employees when they needed it most, in a way they could easily access. Leah Sawyer, Business Continuity Manager, is responsible for coordinating emergency response and business continuity planning across Staples’ warehouses and headquarters. In the company’s expansive warehouses, she said, relying on just a hard-copy plan had become problematic. During an emergency, employees would have to rush across the facility to where the plan was posted on the wall, and then manually flip through to find the information they needed. This would waste valuable time, or result in managers responding off the cuff. Plus, if a plan required update, managers would have to print new documentation to add to the binder, and some associates might still have an old copy of the plan. 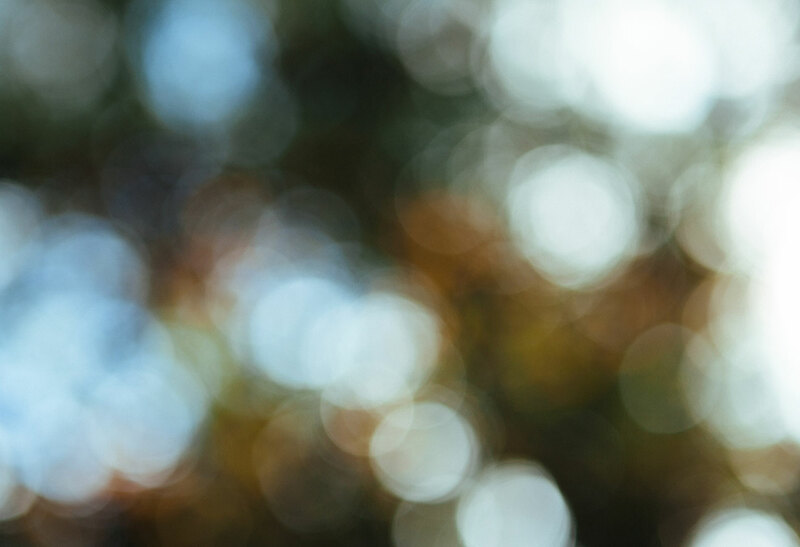 When Sawyer joined Staples, she updated and standardized the company’s emergency and business continuity plan and worked closely with local and corporate teams to get the entire company better organized and prepared. As part of that initiative, she also began looking into ways a mobile app could help strengthen Staples’ emergency response program. As she began researching mobile platforms, Sawyer discovered RockDove Solutions’ In Case of Crisis app first. She looked at about a dozen other providers to see how they compared and then decided to move ahead with RockDove Solutions. Ensure that the key information from each emergency plan was readily accessible for emergency response teams, which primarily include management, at a moment’s notice. Update information dynamically without any printing required. Include a checklist for general first aid and an emergency response checklist customized for each warehouse. 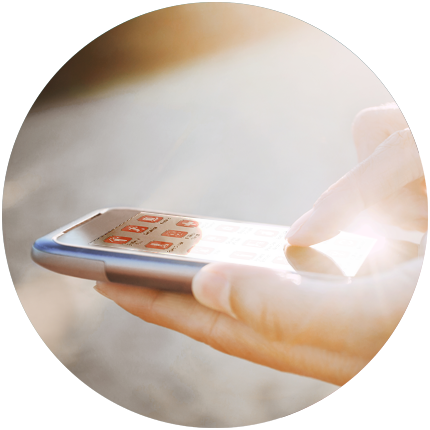 Allow mobile access to the most recent downloaded plans, even if the cell network fails. The ability to delete plans from the phones of employees who leave the company. Incident reporting from the field. The ability to host key documentation off site. That way, if anything happens to the company’s IT infrastructure, it would still have access to emergency plans and incident-reporting capabilities. Sawyer said she was impressed that In Case of Crisis offered all the capabilities that Staples would require. In addition, she appreciated that an enterprise subscription of the app allows for unlimited plans. This will enable Staples to add more users and incorporate additional plans as needed. 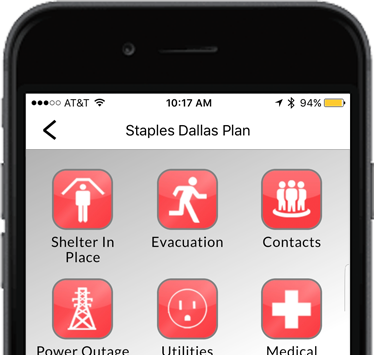 Staples adopted In Case of Crisis to provide the company’s emergency response teams with mobile access to their emergency response plans. Each team now has anytime/anywhere access to its local warehouse’s plan with the touch of a button. For the Quebec Canada sites, the plans are available in English and French, a Quebec legal requirement. Sawyer said she appreciates the streamlined nature of the app. In each warehouse, the emergency response team only has access to its own facility’s plan and emergency contact information. This makes interacting with the app simple while also reducing the amount of private or confidential information, such as contact details, that is shared across the entire Staples network. Sawyer was pleased to discover that RockDove could also host a business continuity plan using the In Case of Crisis app. While it has different information and a different focus, the Business Continuity Plan was also readily converted into a mobile app to meet the company’s needs. At Sawyer’s request, the RockDove Solutions team was even able to add an icon to the business continuity plan that embeds relevant emergency response information – basically giving senior supply chain corporate managers a view of what warehouse managers see in the mobile app. This helped team members get on the same page and feel comfortable about how to manage an incident, without losing track of the key business continuity information. Each emergency response team has mobile access to its warehouse’s emergency plan. 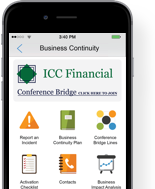 Business continuity teams gained mobile access to business continuity plans with an embedded emergency response icon. Documents are hosted off site to ensure emergency plans and incident reporting are always available, even if IT infrastructure fails. Team members can access downloaded versions of the plans anytime, even if cell networks are down. Staples is a leading supplier of business solutions with more than 1,500 stores in North America. The company is headquartered in Framingham, Massachusetts, and employs nearly 60,000 people throughout the United States and Canada. Staples operates about 50 warehouses throughout North America, including both fulfillment centers for shipping directly to customers and distribution centers for supplying its stores. In Case of Crisis has been well-received with warehouse managers and with corporate senior management. Sawyer said she appreciates that the download process is so easy — straight from the app store. And now that it has been in use for a while, Sawyer said it has proven to be simple and streamlined to use, achieving her goal of providing key information directly to the people who need it. The company also uses the app to help facilitate annual training for emergency response teams and business continuity teams. In the future, Sawyer said, they plan to roll out both incident reporting and push notification capabilities to the emergency teams, which will maximize individual accountability and further improve emergency response. "I’m now an enthusiastic supporter of RockDove. I have high standards—if I like an organization, it’s because they earned it. RockDove Solutions simply goes so far above and beyond. They consistently hire smart, hard-working people who get things done quickly and think outside the box. The times I’ve asked for specific tweaks or changes, I’ve been impressed by their willingness to work with me."